In Flack this week: Mischief begins pitch process to identify a new company pub, Don't Cry Wolf's Brexit pitch production, top news-jacking, and Play(book) it again, Sam. 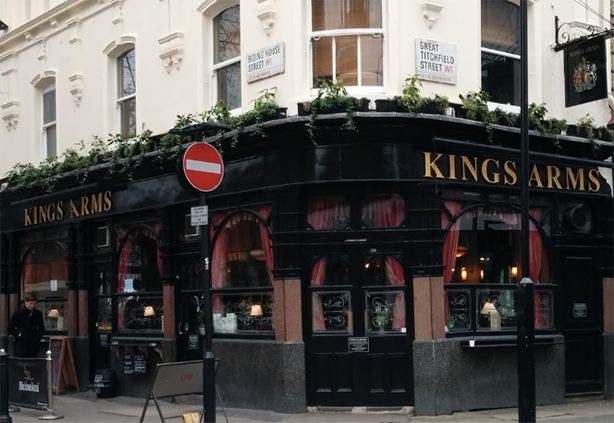 Flack has learnt that Mischief is seeking a new company pub after its retained pub of record, The Kings Arms (pictured below), revealed plans to PUBXIT and diversify into a block of flats at the end of July. Mischief has opened a RFPP – request for pub proposal – and compiled a list of potential tenderers for the business. 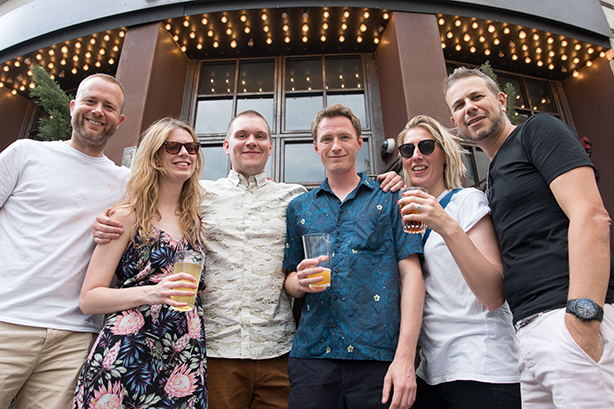 These include the critical factors of ‘being a pub’ and ‘being no more than a five-minute walk’ from the agency’s Great Portland Street offices. It is expected to be a lengthy and competitive pitch process, with several stages of visits to the tenderers’ respective ‘offices’ in order to ensure robust and comprehensive scoring. An illustrious judging committee has been convened, ranging from the entire management team to UK Young PR Lions 2018, Daniella Graham and Andy Garner. "The new pub of record has a lot to live up to, with multi-award-winning landlord John Andrews being a freeman of the City of London and right-hand man Gav being so in demand he commutes from Edinburgh to Fitzrovia," says suspected best-customer, committee member and Mischief account director Vish Rana. "Also, they let us have a lie down on the sofa in their upstairs flat sometimes and don’t mind when we get our own food delivered there." added account director and committee member Ian Cubbon. In the RFPP document, pubs that stock negroni, prosecco, aperol and bacon fries are likely to receive extra marks. Flack understands that boozers which allow Deliveroo and Uber Eats deliveries are also marked highly. Greg Jones, Daniella Graham, Jack Hutchinson, Andy Garner, Gemma Moroney and Damon Statt. The Most Opportunistic News Jacking by a PR of the Week Award this week goes to PropergandaPR. The London agency has inventively used Julian Assange’s extradition to the US after seven years hauled up in the Ecuadorian embassy for this effort for its client, the flat-share platform Ideal Flatmate. "Julian Assange saved £150k in rent while at the Ecuadorian embassy," wrote the headline in Flack’s inbox. And don't worry, @lastminute_com - we aren't annoyed about you taking our name. But if you wanted to sort us out a location for our next company away day... ??? Credit for this absolute gem where it's due: Directed by Alicia MacDonald and produced by Katherine Pomfret, The Last Supper is currently being developed into a TV sitcom with Rockfleet Productions.